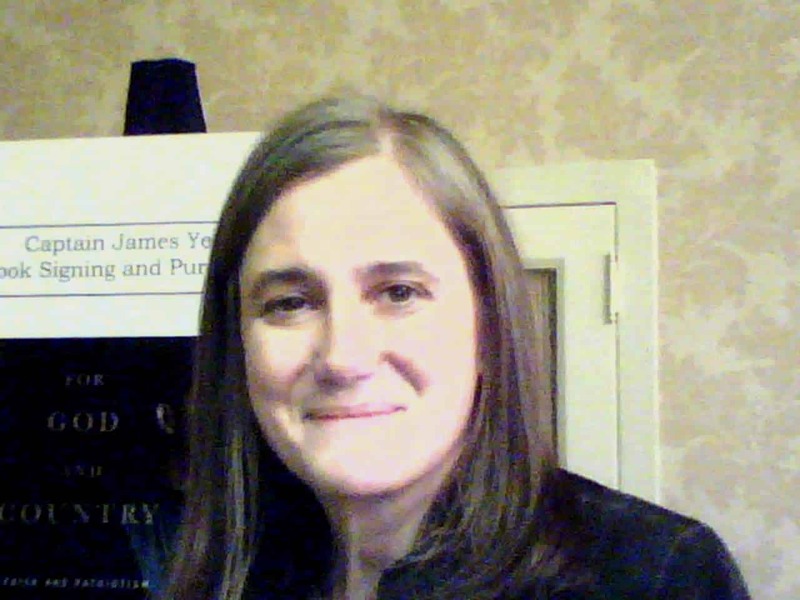 Meeting Winter Soldiers, Amy Goodman, and James Yee | Jon Katz, P.C. How many people, when asked “What were you doing during [some major historical event]?” can only shrug their shoulders to say they missed it all, during the daily grind of work, the commercial monster, commuting, eating, sleeping, and beer? It is easy to do; my biggest motivator for doing the opposite comes from kicking myself for having chosen law school studies one night over what turned out to be my only life’s chance to meet the late Abbie Hoffman, who spoke just two blocks away. America has been at all out bloody war for over five years. The Federal Reserve has bailed out Wall Street with huge corporate welfare when the economy is still in trouble at best. Gasoline prices keep rising not only because oil producers have a big enough demand to get away with it, but also because America’s addiction to fossil fuels competes with a heroin addict’s cravings for junk. For those who have not woken up yet, it is time to do so. Gone should be the days when those in power smile at a relatively docile population that is complacent enough to get a good enough paycheck biweekly and to be occupied by sports and other non-political diversions during leisure time. With that backdrop, during the last five days, I have met Winter Soldiers, Amy Goodman, and James Yee. With the Winter Soldiers, I resume where I left off on March 4, when I blogged about American veterans of the wars in Iraq and Afghanistan taking over from the 1971 tradition of the Vietnam veteran participants in the original Winter Solder investigation. I volunteered along with numerous other lawyers around the nation — organized through the National Lawyers Guild — to be on call to give legal advice to witnesses who might wish consultation about their criminal exposure both for divulging allegedly classified information, and for any admissions of war crimes and other wartime activities subject to court martial proceedings. I missed the opportunity to advise any of the witnesses, as more lawyers signed up for my March 13 timeslot than witnesses wishing their advice. The next day, morning court finished early enough before afternoon court began that I was able to drive to the Winter Soldier site two miles up the street from our office, at the National Labor College in Silver Spring, Maryland. Near the sidewalk entrance to the college were several dozen pro-war protesters against the Winter Soldier investigation, with signs urging honked horns in support. Further down the entrance, as I was told to expect, unarmed civilian security folks in t-shirts asked my business, and I was waved through after telling them I am a lawyer member of the National Lawyers Guild and showed them my business card. Profoundly influenced by the first Winter Soldier investigation, I was determined to get at least a glimpse of this gathering. The conference took place on the fortieth anniversary of the My Lai massacre. On my arrival, a panel of veterans were discussing their struggles in getting sufficient healthcare for injuries suffered while in Iraq and Afghanistan. For many wounded soldiers, it seems that they struggle with a mountain of bureaucratic paperwork and often a faceless military medical bureaucracy that would make the oppression visited by governmental power on Kafka seem like child’s play. I said hello to a few people who seemed to be Iraq and Afghanistan veterans. I then met some Vietnam war veterans, including two who testified at the original 1971 Winter Soldier. One of the Vietnam Winter Soldier witnesses told me about a presentation by Vietnam veterans in Washington, D.C., apparently near the time of the first Winter Soldier, where one of them talked of seeking an American soldier throw a Vietnamese child down a well, and an animal after the child. Had the child not met such a terrifying fate, he would be over thirty-five today. Later that night, the same speaker went berserk in his hotel room. It turned out that this ordinarily mild-mannered man was the one who threw the young boy and the animal down the well. War dehumanizes. Another Vietnam Winter Soldier witness told me how he learned where were the American-placed bouncing Bettys — landmines that would hurl into the air at waist-height and shoot out deadly shrapnel — and would dodge them to leave the base to go into town, where he would return with drugs to share. This man knew an 80-pound grandmother whose village ultimately came under attack by American soldiers. Terrified, the woman clung to this soldier who would dodge bouncing Bettys. The late Sgt. ___ — who I was told drank himself to death many years later over such reprehensible violence — shot her pretty much in half as she clung to this soldier. The Vietnam war ended in 1975, which gave the American military propaganda machine a chance to start a new war twenty-eight years later in Iraq, inundated with soldiers and civilians far removed from the horrors of the Vietnam war. Amy Goodman of Democracy Now! — awarded yesterday the local American Civil Liberties Union’s annual Henry W. Edgerton Civil Liberties Award — feels that the tide will turn on American public opinion on the current Gulf war, if only news coverage of the war for one week mirrored the intensity and frankness revealed in journalists’ films and still photos that helped turn the Vietnam war into a most unpopular was in the United States. She feels that the media are heavily limiting real revelations of what has been happening at the multi-day Winter Soldier. Amy and fellow awardee Ralph Temple warned of the harm to democracy that comes from a mainstream news media that is heavily invested in America’s for-profit corporations, and that include such military industrial complex companies as General Electric, which owns NBC television. Ralph further warned that only eleven corporations control the bulk of news coverage in the United States. Amy has been in town daily covering the Winter Soldier investigation. She emphasized the critical importance of having such independent news outlets as Pacifica bringing their ideas and music to the airwaves without accepting corporate funding. She would make a great trial lawyer. Also at yesterday’s ACLU annual lunch was keynote speaker James Yee, whom Amy Goodman has previously covered. Mr. Yee tumbled from being a decorated Muslim chaplain at Guantanamo several years ago, to being charged, manhandled, and locked up for many days as if he were a terrorist. Countering any notion that any evidence was strong against Mr. Yee, the Defense Department ultimately dismissed the case, and he was honorably discharged after resigning his commission. Yesterday, I met James Yee and Amy Goodman at the end of the ACLU awards gathering. For years I have felt that Amy Goodman is indispensable, no matter how biased or not she may be. 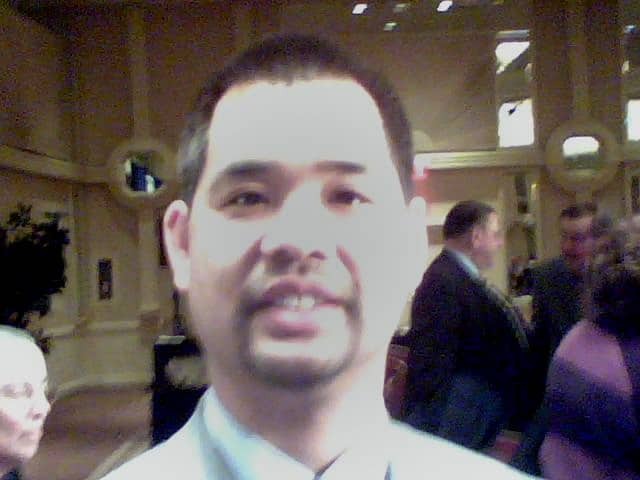 For months I have been planning on blogging about Mr. Yee, whose lawyer Gene Fidell is a dynamite local lawyer who previously served with me on the local ACLU board. I recommend obtaining Amy Goodman’s and James Lee’s latest books. Amy’s latest book is Static: Government Liars, Media Cheerleaders, and the People Who Fight Back (Hyperion 2006). James’s book is For God and Country: Faith and Patriotism Under Fire. (Public Affairs 2005). I bought each book, and each writer gave me their inscription. Amy wrote: “Jon- Make Static!” James wrote: “To Jon- Stand firmly for Justice.” Both of them urge others to stand up for justice and to watch out about being lulled into a false sense of security and comfort by huge power structures who want nothing more than such a false feeling of security.